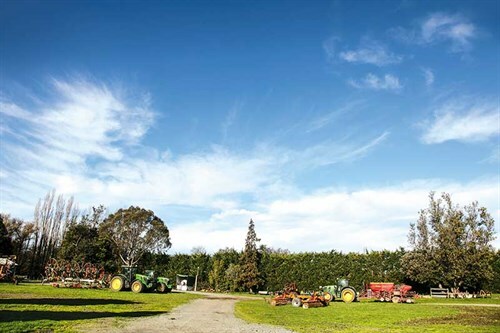 In the heart of fertile Hawke’s Bay farming country is a rural contractor with a passion for all things agricultural. 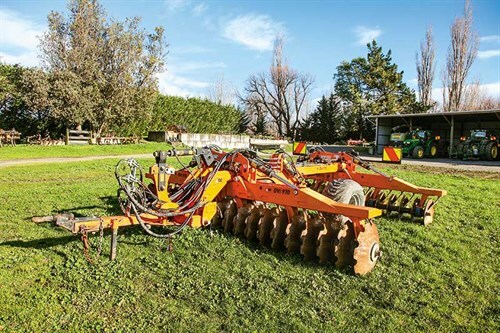 Mike Kettle Contracting Ltd and his team are familiar faces in the Havelock North landscape, whether preparing, planting, or harvesting on local properties. Mike started out as a diesel mechanic before going to work for a haymaking contractor. Three decades later, he’s still there, having bought the business 27 years ago. During this time, he’s grown it from a haymaking operation to a large, progressive hay, silage, and cultivation agricultural contracting enterprise. 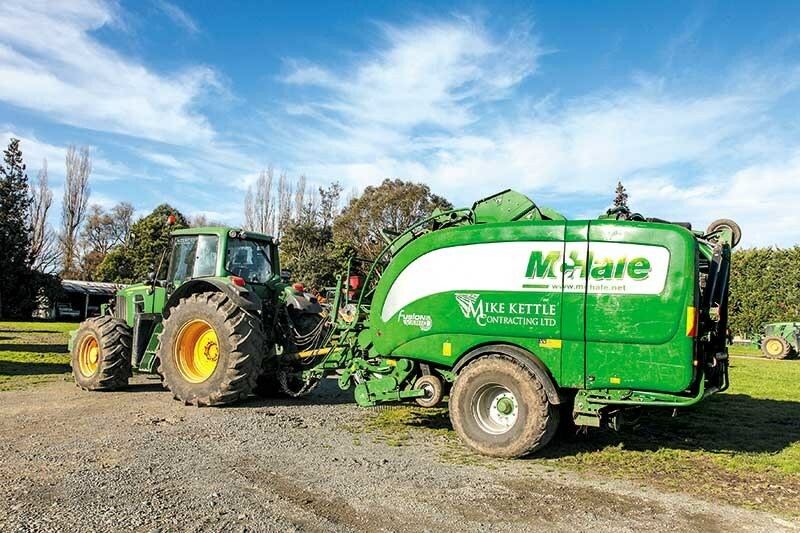 Working in a territory stretching across a radius of Otane in the south to Tutira in the north, Patoka in the west and Waimarama in the east, Mike Kettle Contracting’s services include hay, silage, and baleage, as well as a full cultivation service and direct drilling. This allows him to work across a range of beef, sheep, and dairy farms, large orchard operations, and cropping farmers. 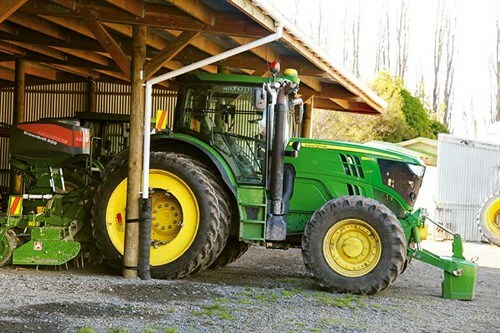 Mike Kettle Contracting runs a fleet of 15 John Deere tractors (100–300hp), which are often hooked up to Claas double and triple mowers or Claas rakes and tedders (ranging from six to nine metres wide). 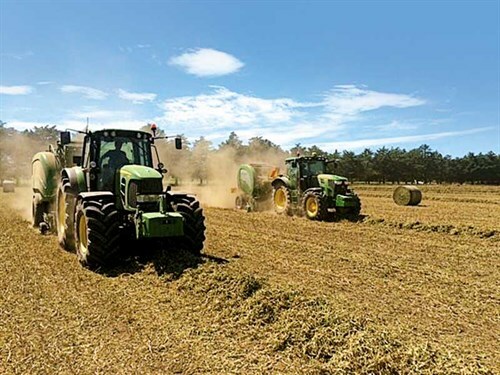 The baling fleet comprises two Claas medium square balers, two Claas conventional balers, two McHale round balers, and two wrappers. 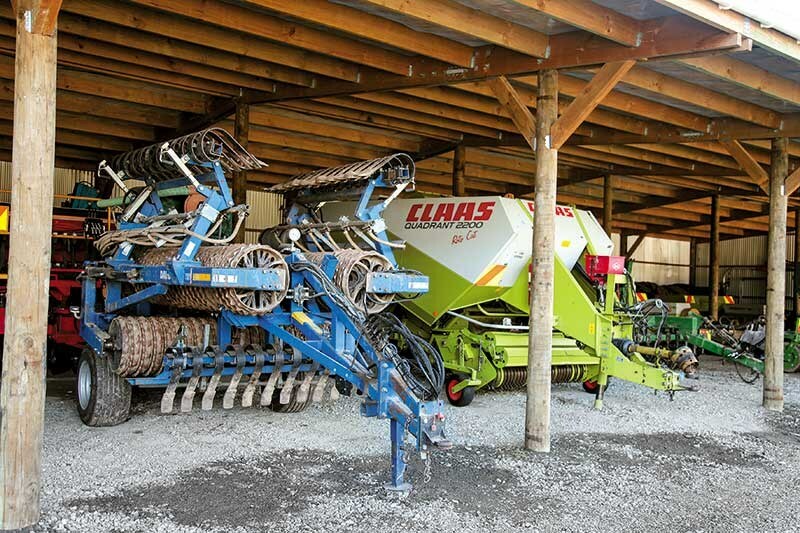 For silage, there are two Claas 850 forage harvesters for grass, maize, and cereal. 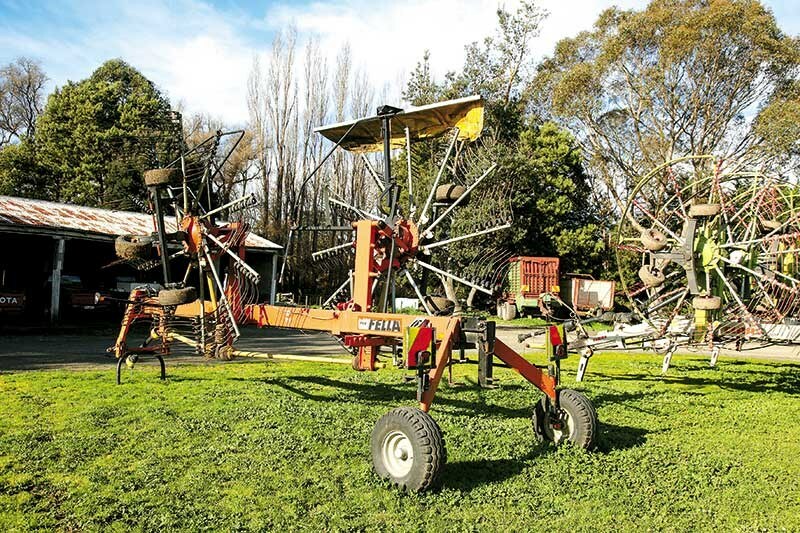 The sheds are then further filled with four direct drills and a six-metre roller drill along with an array of power harrows, rotary hoes, and plough. In short, everything that’s needed to get the work done quickly and efficiently. "It’s a money-hungry business as far as machinery goes. We’re always spending money on new gear, but that’s what you’ve got to do because you don’t want breakdowns in the paddock while you’re on the job," Mike says. John Deere tractors are traded at 6000 hours and new ones are ordered late summer or early autumn, so they’re ready to go in August. Used ones are traded "while we still have a good product to sell". McHale balers are chosen for their strength and efficiency. "They just eat hay and are the best on the market," Mike says. 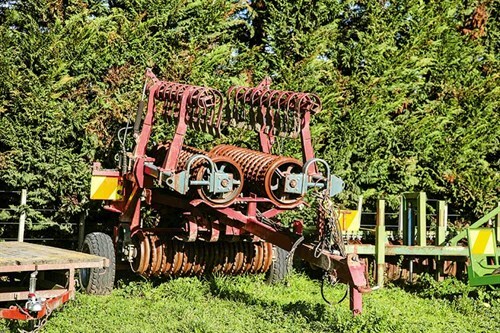 The Vaderstad seed drill is another well-utilised machine and was chosen for its ability to cultivate, roll, and drill in one pass with fertiliser, rye grass, and small seeds. "If we are able to cover more bases at a cheaper cost to the farmer, then it’s good," Mike says. He owns three Allen Custom Drills and he swears by them. "They are very robust – they don’t break – and it’s just a matter of replacing worn parts. That was a problem with the old one – the frames were breaking in the places we were taking them. Allen Direct Drills are custom-made to our requirements. They might be expensive but you don’t have any problems, so, in the long run, it’s worth it for the quality of the machine. "None of this works well without the great service we get from our equipment dealers. They are an important partner in our business," he says. 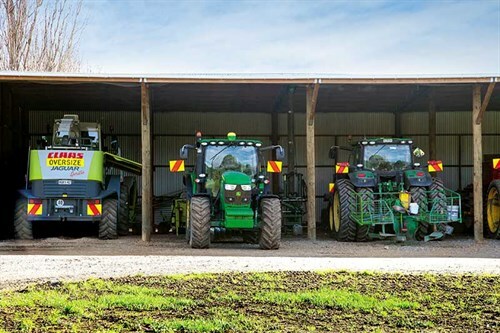 According to Mike, one of the biggest changes in the industry is the fact that machinery keeps getting bigger "but that also comes down to the fact that we want to get across the field quicker, so we can keep the costs down. As well, farmers want more done and contractors have to expand to cope with that requirement". The type of season also dictates what they do and how they do it. "Last season was challenging, with a very hot and dry December and January, followed by the wettest autumn we’d seen in 20 years," he says. This year, it’s been wet but there’s still a lot of grass around. "If we get warm weather now, through August, the grass is really going to take off. But whatever comes, we just have to deal with it and get on with it. 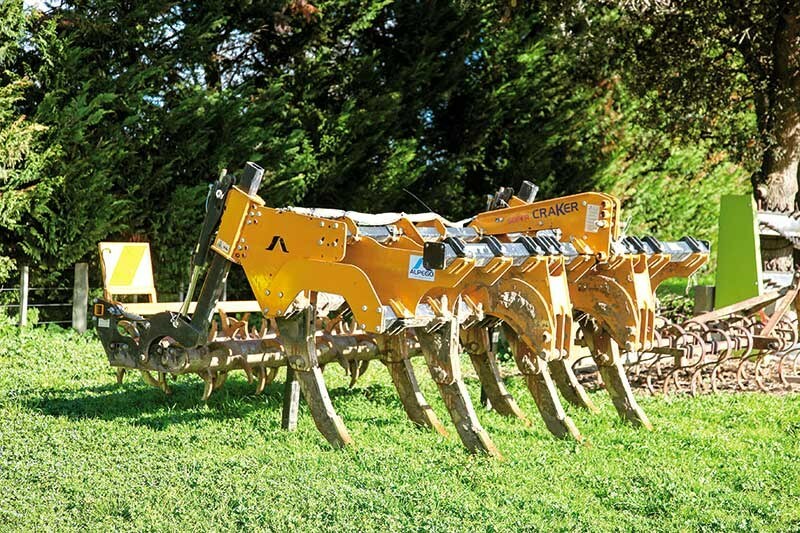 We have plenty of machinery, so whatever jobs come in, we are ready to go." Mike Kettle Contracting has a core team of eight through the year, which increases to 15 or 16 in summer. "We have a variety of workers; some from overseas and others who come and go because they have other work commitments," Mike says. The most important thing he looks for in a new employee is a willing attitude. "If they want to be here and they’re keen, they’ll do whatever it takes to succeed. I have no problem helping people get where they want to be," he says. Mike’s senior employees work closely with farmers year round to ensure consistent contact. "As well as offering an advisory and monitoring role, it gives farmers continuity and confidence about their crops. "Some of our guys have been working for us for 10 years and know the paddocks and where they’re going inside out." In quieter times, his full-time team also maintains the machinery. "It means the people who are working with the machinery are fixing it, so they get to learn on the job. It makes them better able to sort any problems they might encounter in the field." 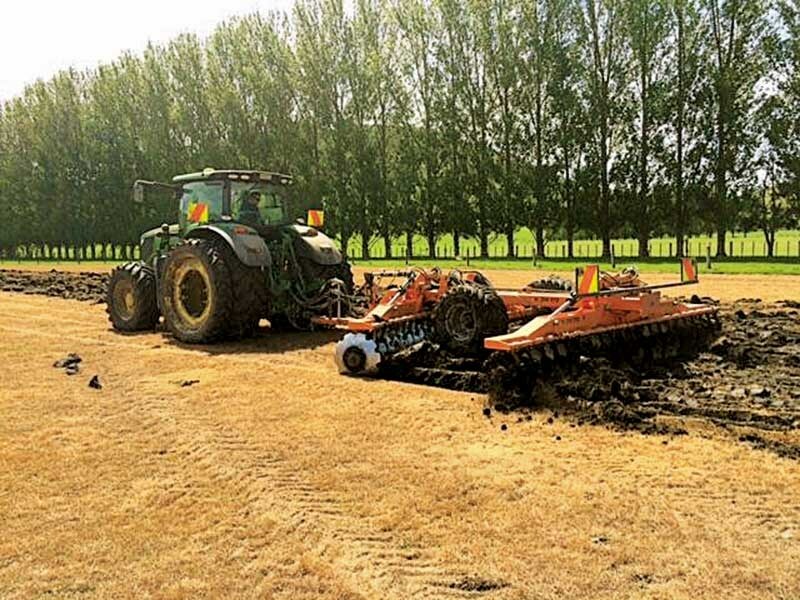 Having only recently joined Rural Contractors New Zealand, Mike has seen how the association does much lobbying to the government on behalf of its members and the benefit to potential employees who have made enquiries through the RCNZ website. 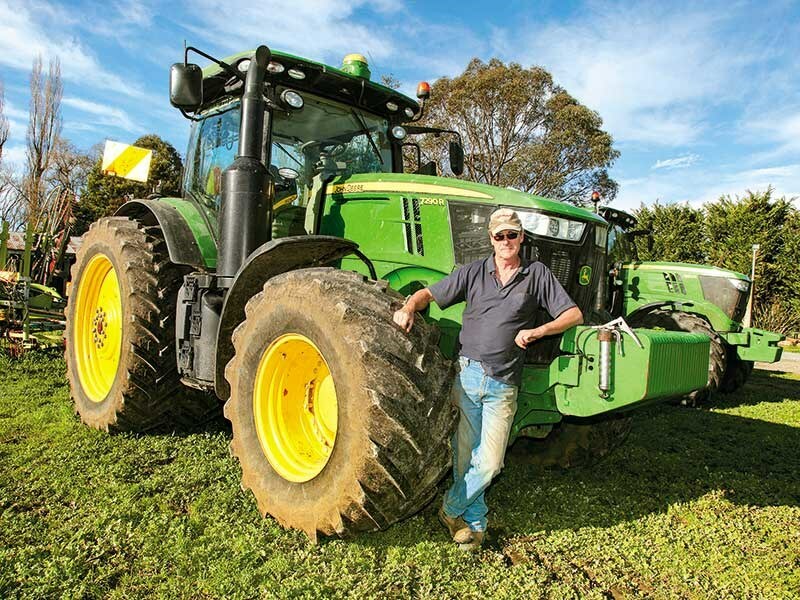 These days, Mike doesn’t often drive machinery but he does cover around 300–400km each day as he checks progress in the field to ensure everything is happening in a timely manner. "I’m not sure about that, but I believe in getting the job done in a realistic time frame at a realistic price. It bothers me if we have lots on and can’t get it done. I usually go out and hire another tractor when that’s the case," he says. 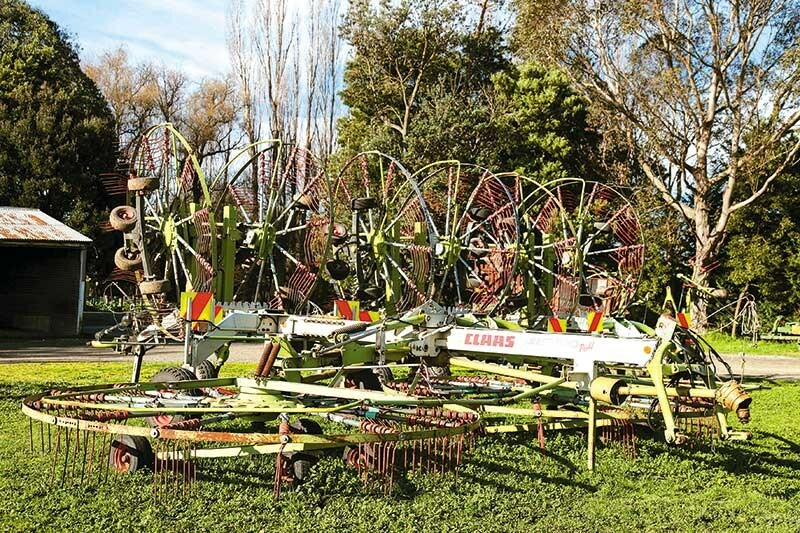 Mowing, raking, tedding, hay baling with conventional medium and big square balers, round and square baleage, ploughing, power harrowing, rotary hoeing, discing, roller drilling, direct drilling, maize silage, grass silage, tree planting, buying or selling hay, straw or standing grass, and transporting. For more information, visit Mike Kettle Contacting's website.